The ARM 82 is an attractive model of a typical Dutch fishing vessel. The hull is flat-bottomed, an aid against running aground in shallow water. 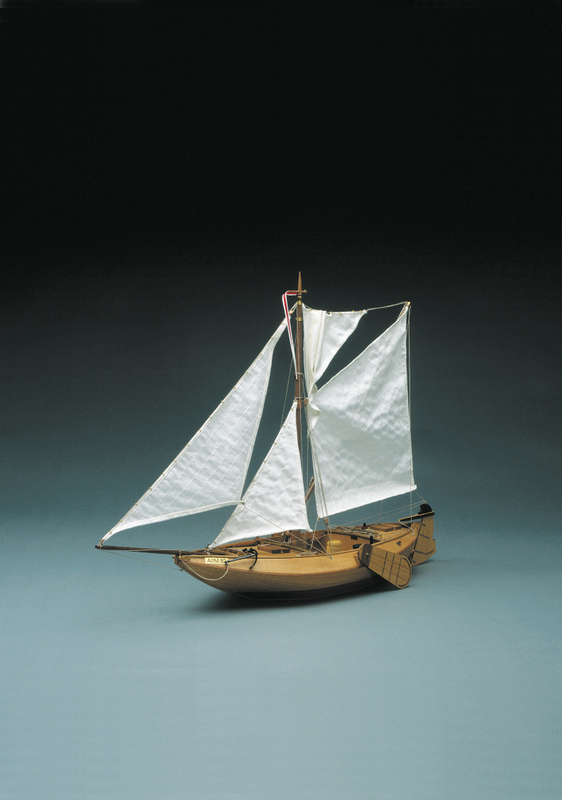 The Mantua kit features the following: A plank on frame hull construction, building plans with general details, English instructions, walnut or lime planking, wooden masts and spars, brass, walnut and boxwood fittings, etched brass details, rigging cord and sails. All sheet ply sections are laser cut for accuracy.